The League of YES created the Skills Program for the older, more able players to train in baseball skills and play a more traditional baseball game as they learn and grow within the program. 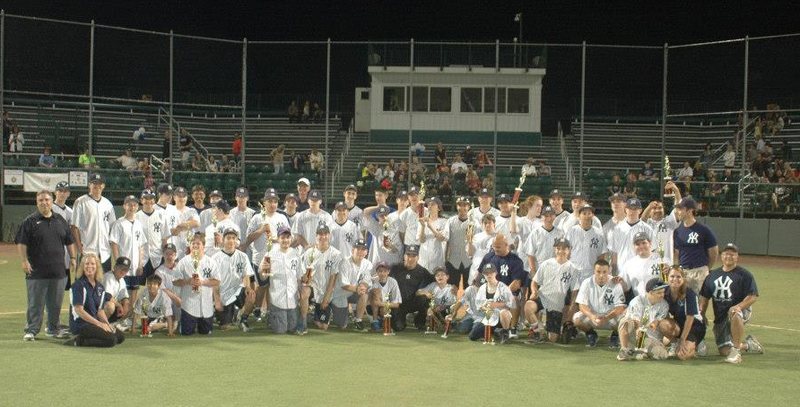 Training sessions are led by former professional baseball players, college players and players from local youth leagues. Each YES player is assisted by a BUDDY who acts as a guide, trainer and companion during each session and game. Sessions start with the whole group doing basic stretching exercises and warm up drills. Skills Team players are then split into groups where they learn and practice proper fielding, hitting and running techniques. The groups rotate through each station until all players have experienced each training area. The team meets each Saturday during the League of YES spring and fall seasons on a typical grass and dirt baseball diamond. During the “off season”, the team meets at least once a month at an indoor facility so the players can continue their progress as baseball players. The outdoor sessions are two hours long and encompass an hour of training in proper hitting, running and fielding skills followed by an hour long game where the players get to use their new skills. The indoor sessions are also two hours long but focus on more intense training and exercise designed for indoor activity. The players are not only increasing their baseball abilities, they are also growing as individuals, gaining self-confidence and increasing their ability to focus. In turn, they are reminding all of us in the program that baseball is all about fun. The Skills Team also gets the opportunity at least once in the season to play a game under the lights. This is a special occasion where the players get to show their friends and families everything they have learned, at a college baseball stadium, under the bright lights, at night.